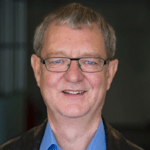 Dr. Peter Gamwell has been described as one of the most knowledgeable and thought provoking presenters on individual and organizational learning, leadership and creativity in Canada and beyond. Peter has advised multiple levels of government, private industry, municipalities and not-for- profit, – as well as the education sector. ‘If we are going to make our organizations creative, dynamic, diverse and above all, successful, then we must believe in the creative capacities of every person, no matter what their position or title, and put into place the conditions that enable creative abilities to flourish.’ For the past ten years, Peter has led a team of hundreds to find out just what those conditions are, with some eye-opening results. © 2019 Cape Breton Partnership.